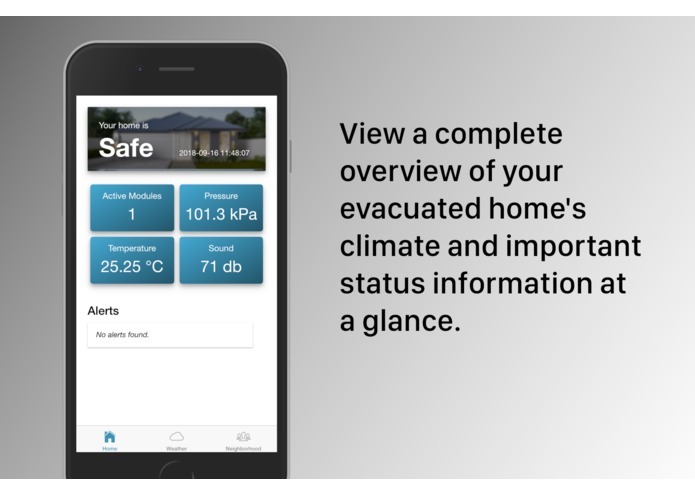 View a complete overview of your evacuated home's climate and important status information at a glance. 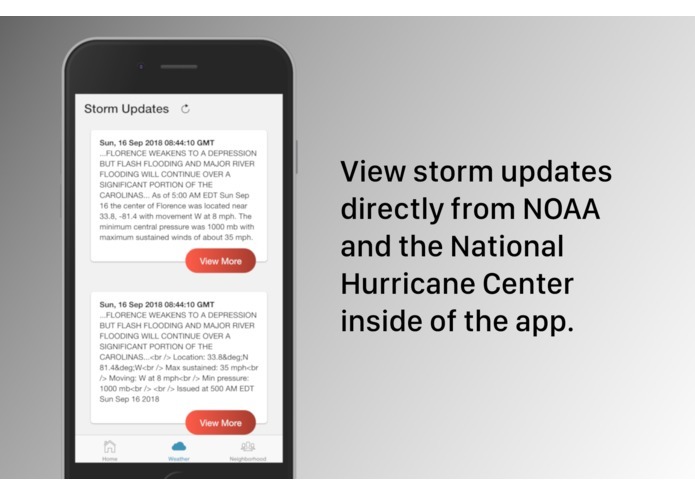 View storm updates directly from NOAA and the National Hurricane Center inside of the app. 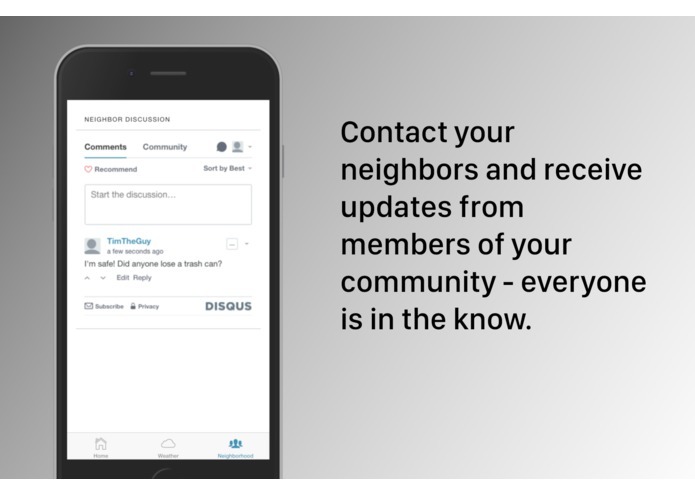 Contact your neighbors and receive updates from members of your community - everyone is in the know. A heat map in our public-facing page provides a crowd-sourced view of neighborhood impact. Thousands upon thousands of people are forced to evacuate their homes each year due to the impact of hurricanes and tropical storms in local communities. Families and homeowners are left with no choice but to collect their valuables and relocate for the weather event. When evacuating, homeowners are completely in the dark as to what is going on at their home until they return after the storm - finding anything from a power outage to complete destruction. Our team has developed a full platform and robust offering for keeping tabs on your home before, during, and after a storm. 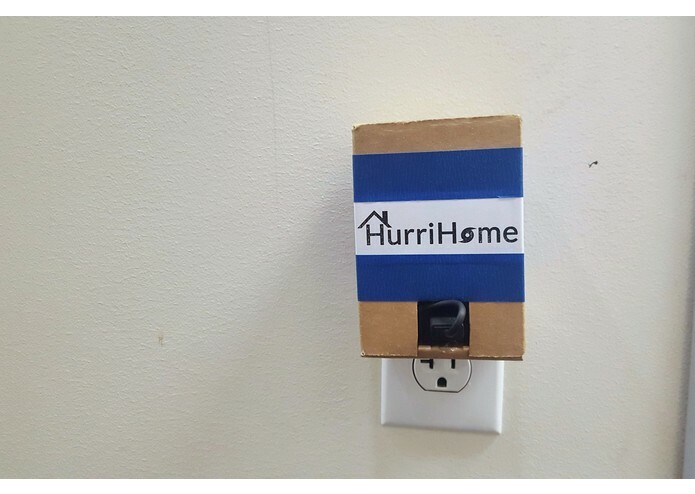 The HurriHome sensor module sits quietly in a power outlet of your home, reporting out information about the homeowner's environment. The cloud-based event platform stores the information reported by the phone, and communicate with the HurriHome mobile app to keep the user up to date. 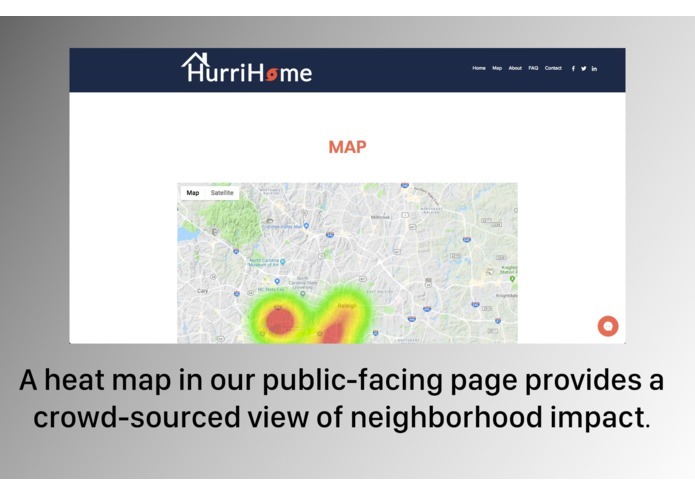 The information obtained from all users of the HurriHome platform will be presented on a cloud-based management dashboard for parties like law enforcement and relief groups to evaluate the impact of a hurricane. 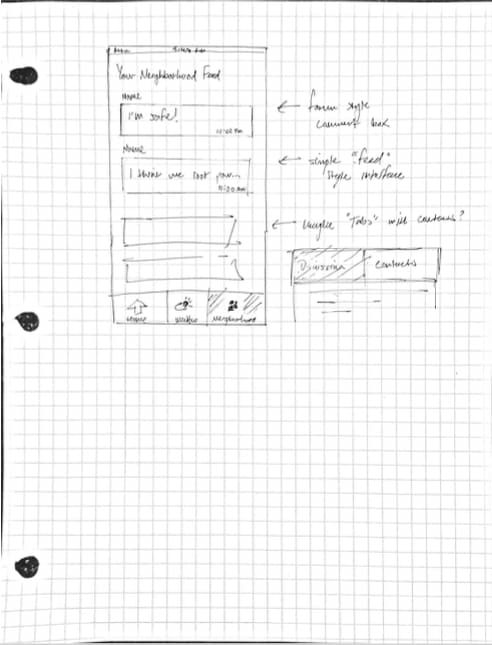 This is the first time we've ever tried to really plan out the user interface and user experience of an application. We created some on-paper wireframes of our vision based on the goals we identified for a user, and how they might want to use the app. 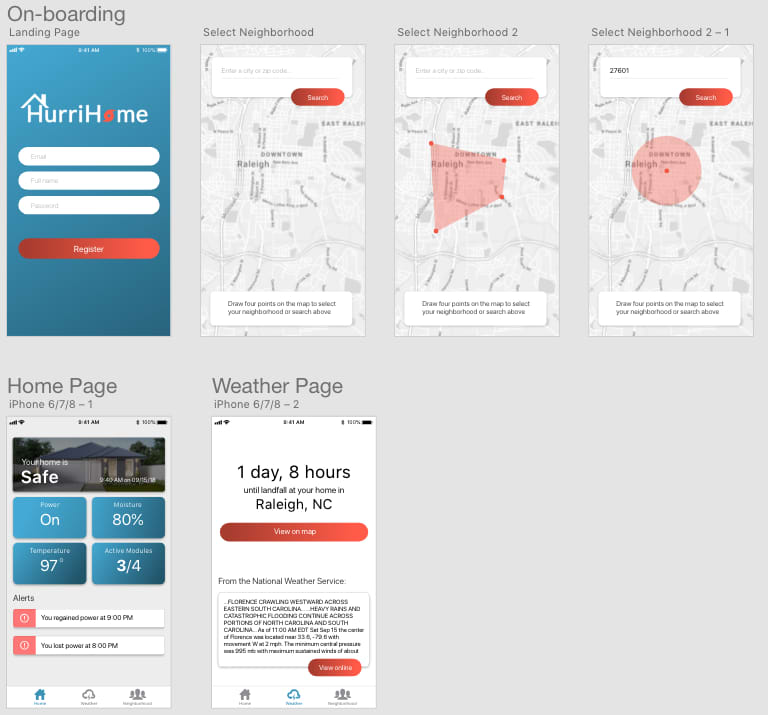 After creating wireframes, we validated them against other event attendees and re-created our layout for building the mobile application in Adobe XD. 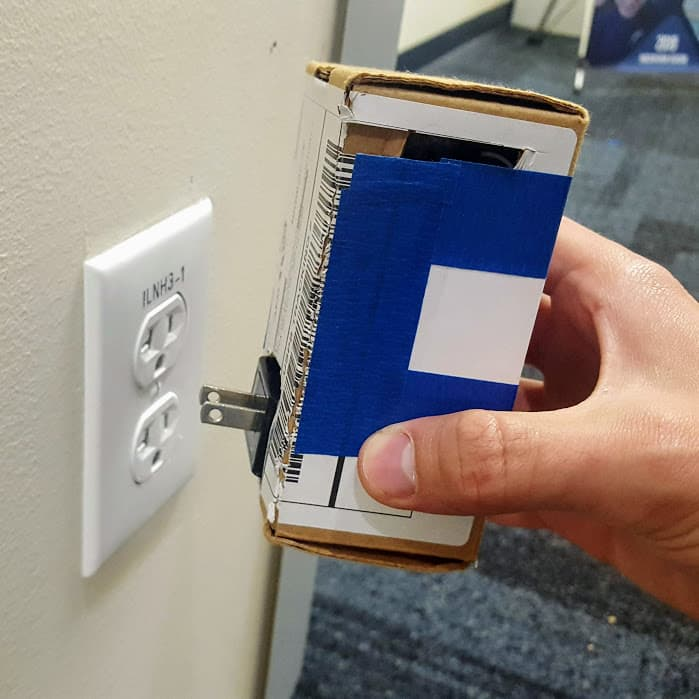 We wished that we could develop all of the screens in our prototype, but only focused on the business-critical functionalities for the hackathon period. We had some trouble coming up with the most effective way of determining the well-being of a user's home, and how to present this information to the user in a way that will be meaningful to them. We were struggling to understand the complex requirements of the problem: What do we do if there is no backup power available? What if both cellular and wired internet becomes unavailable? How expensive does this become for the user? 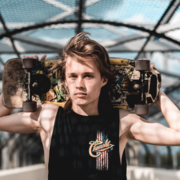 We typically met these questions with an answer of compromise - in a 36 hour development time, it is hard to justify investing deeply in these edge case scenarios. 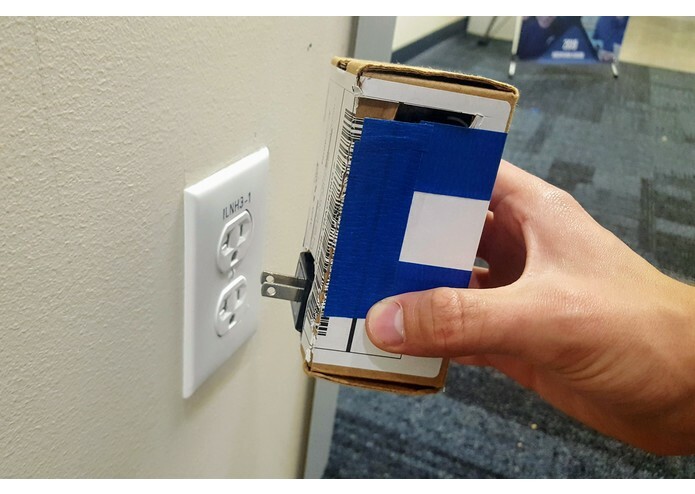 An additional challenge that came as a result of this was determining the proper hardware for accessing information about the user's environment. 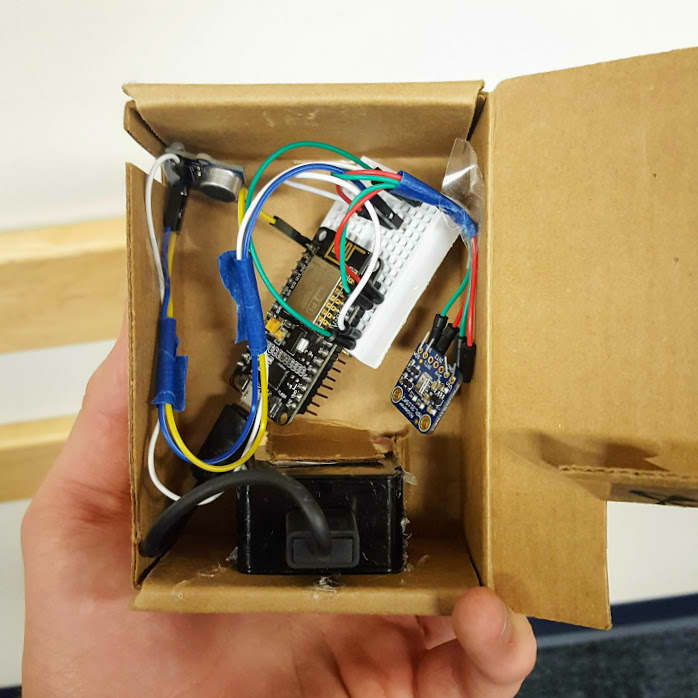 We only had a small set of sensors and inputs to choose from at the event, and had to think fast in order to select the based data for analysis and decision making. We would have loved to have seen more 'WebMD' style results made available to the user, so that the 'symptoms' of their home can help them to evaluate what support they need before they even get there. A damage roof or flooded building could be diagnosed remotely, allowing the user to begin the process of making repairs on the way back from evacuations. 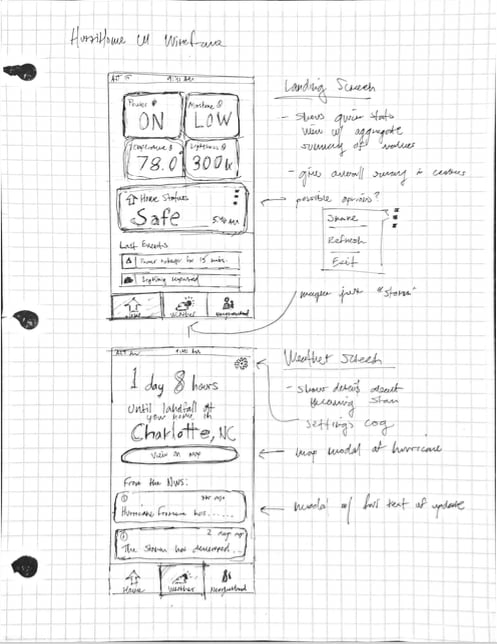 Drafted UI on paper and in Adobe XD. 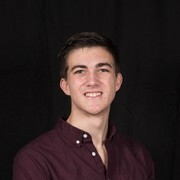 Created the Ionic 3 mobile application and wrote the Arduino source for our sensor package. Interfaced with team member APIs and scraped the National Hurricane Center website for weather information. 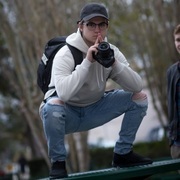 So if I type something here it'll show up on the devpost for everyone to see?